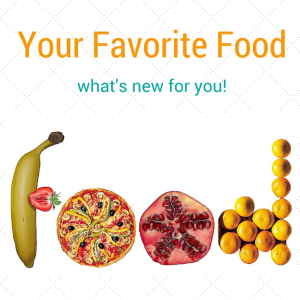 Your list of favorite foods is bound to change year in and year out as new food trends come forth to tempt our taste buds. And these new food trends often have a place in your meeting planning; food is an important factor in keeping attendees happy, fortified and engaged. Let’s check out some food you need to chew on. Tea Goes Happy Hour: A little green tea in your mojito? How about some chamomile in your margarita? Tea-infused cocktails are quite dandy and totally in. Try your taste buds on these tea creations and include them in your next gathering. Brew News: Microbrews come front and center when you plan a dinner that pairs various brews to compliment your dinner courses. Check out these should-know choices, but if your group is of the quirky, there are brews that walk a bit on the weird. More Brew News: Also keep an eye out for Micheladas; Mexican cocktails made with beer, lime juice and tomato juice or clamato. Of course, this trend comes full circle and all sorts of new recipes to try. Chef Talk: Some venues now offer team building and networking events that include an interactive chef. Learn new cooking skills, prepare and enjoy your meal together. Be Healthful: Long gone are the days of boring health offerings like cottage cheese plates. Good for you does not have to mean bad taste. Ask your venue about healthy choices that include interesting ingredients like quinoa, kohlrabi, kale, savory yogurt or hummus – which has out-trended salsa. A Little Sweet: Small desserts are much more preferred than gargantuan sugary monstrosities. Why? Waistline watching has a lot to do with this trend, but also – and this is just me talking here, I believe that eating several small desserts does not ever really add up to one big dessert. For some pretty and tasty petite desserts, take your cue from this wedding trend site. Diet Do’s: Some people are gluten-free and/or vegan and/or allergic to shellfish, etc. These folks many times end up out of sync with the rest of their table; receiving their meal well before or way after the rest of the group. Solve the problem easily by including a colored balloon or flower (for example, red for a shellfish allergy, white for gluten-free, etc) at the person’s seat so the servers can make sure to bring out their special dish with the rest of the table’s food. Need a little bit more food for thought? Check out these pictures of beautiful healthy food. Then there’s this “chef” that makes junk food look fabulous!